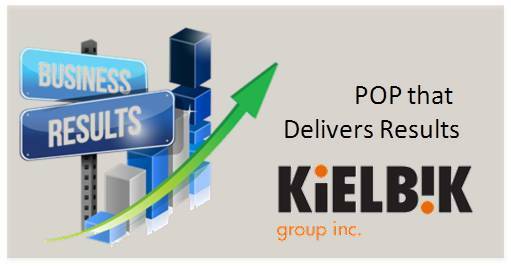 Kielbik Group | High quality POP delivered on budget and in time for a big launch. High quality POP delivered on budget and in time for a big launch. We got the call during an early morning a few months before the Oscars. Ogilvy&Mather had this great idea about putting video booths into malls where Bertolli (a Unilever company) customers could record their Bertolli food stories and then share them on social media and also participate in a competition for the best story. But Kielbik is not a stranger to those types of projects and sees those as a challenge rather than a problem. So Kielbik went right to work doing some research and analysis and came up with an idea based on an existing system on the market for a modular office concept. A proposal was delivered the next day and work started shortly thereafter. Kielbik developed a highly customized design which was approved after some fine tuning in record time. Engineering and production took about 2 weeks. The total time from concept to setup was about a month. The project was delivered on-time, actually in record time against tight timelines AND on budget. The winner of the selected video clip was actually placed in the professionally produced commercial for Bertolli at Warner Studios TV. Involved in this campaign was also the celebrity chef Rocco DiSpirito. Our Motto: Do it right the first time! Communication can make or break display performance! Display Development Drives Display Performance! Kielbik has a unique way of working ensuring the success of any display project. Create displays that deliver a strong return on investment. Value Engineering – Adds Value to Your Displays … and Your Bottom Line.